The 2019 Australian Open welcomed its highest-ranked seeds on Tuesday, as top men's singles contender Novak Djokovic began his quest for the crown and women's front-runner Simona Halep joined the action. 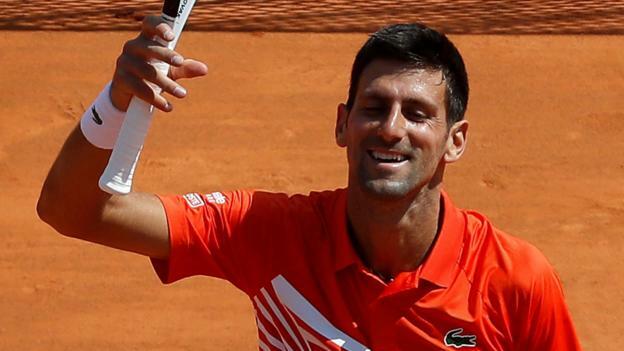 Djokovic beat Mitchell Krueger 6-3, 6-2, 6-2 and will next face Jo-Wilfried Tsonga, who notched a 6-4, 6-4, 7-6 (5) victory over Martin Klizan. Alexander Zverev breezed into the second round of the competition with a 6-4, 6-1, 6-4 win over Aljaz Bedene, who has now failed to make it past the first round of this competition seven times. Eighth seed Kei Nishikori and 12th seed Fabio Fognini each advanced after seeing their opponents retire, with respective foes Kamil Majchrzak and Jaume Munar bowing out due to cramping. Majchrzak had taken a two-set lead, but he exited the tournament with Nishikori 3-0 up in the deciding fifth set. Naomi Osaka participated in the late action on Tuesday, but the fourth seed didn't let timing be an issue as she waltzed past Magda Linette 6-4, 6-2. Elina Svitolina lived up to her sixth-seed billing in her opener and made light work of Viktorija Golubic, 6-1, 6-2. No. 7 seed Karolina Pliskova was similarly dominant against Karolina Muchova and triumphed 6-3, 6-2 in her first-round tie. Both Serena and Venus Williams progressed into the next phase of the tournament following wins of contrasting difficulty. The former was efficient in a 6-0, 6-2 rout of Tatjana Maria, while Venus was pressed hard to come back from behind and beat No. 25 seed Mihaela Buzarnescu 6-7 (3), 7-6 (3), 6-2. Belgian Elise Mertens was handed more of a scare against Anna Karolina Schmiedlova but advanced in straight sets 6-2, 7-5, and American Madison Keys defeated Australian Destanee Aiava 6-2, 6-2. Visit the Australian Open website to see the results in full. A straight-sets scoreline may suggest Djokovic had an easy time of things against first-round opponent Krueger, the Serb faced an awkward opening obstacle where he typically came out on top in the clutch moments. One of those likely to challenge Nole for the crown in Melbourne is Zverev, who has in the past found some trouble in keeping matches short at major tournaments but encountered no such problem against Bedene. Zverev gave up three times as many double faults as Bedene (six to two), per the official Australian Open website, and he won 19 of the 23 net points he played. 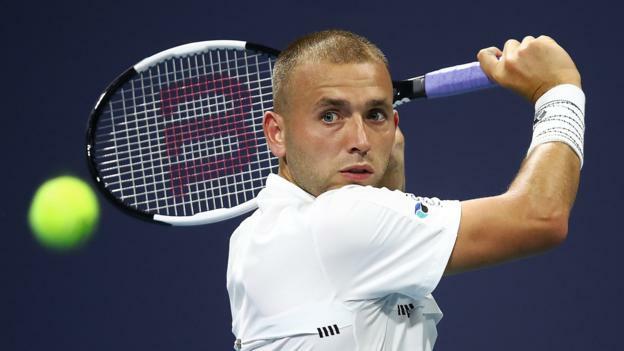 The Japanese favourite was leading by the time Majchrzak took his leave, but there was a point at two sets down where it looked as though Nishikori was looking at a surprise first-round exit. No. 16 seed Milos Raonic dumped Australian Nick Kyrgios out of the tournament with a 6-4, 7-6 (5), 6-4 win, surpassing his surprise first-round exit at the hands of Lukas Lacko last year. Halep made it to the final here last year and looked shaky at times against Kanepi in her bid to go one better this time around. However, the Romanian at least looked more like her usual self in a dominant third and final set. Kanepi saved three break points at the end of the second set but crumbled at the fourth attempt, which proved to be a turning point in the match. Simona Halep breaks Kanepi for 4-2 in the third set and Kanepi calls the physio for a blister. Players should not be allowed to have a medical timeout before their opponent's service game. Simple. An hour was all it took for Osaka to get past first-round opponent Linette, against whom she faced only a single break point—which she lost—and racked up six aces to her opponent's none. Svitolina and Pliskova—seeded sixth and seventh, respectively—gave up only a handful of games apiece as they manoeuvred their paths into the second round, where the former could face compatriot Kateryna Ihorivna Kozlova. Serena Williams, 37, is still yet to return to the very top seeds in Melbourne, but her placement at No. 16 shouldn't deceive, a point she demonstrated in a relentless 6-0, 6-2 beating of German Maria on Tuesday. The younger Williams sister defeated older sister Venus to lift the Australian Open crown in 2017, but neither will mimic that feat this year as they find themselves in the same section of the bracket. Venus, 38, fell one set behind to Buzarnescu on Tuesday but rallied with a tough display to emerge 6-7 (3), 7-6 (3), 6-2 victory. She'll play Alize Cornet in the next round as she and her sibling move toward a potential clash in the fourth round. Britain's Johanna Konta also had problems with injuries coming to Melbourne but pulled through to beat Ajla Tomljanovic 7-6 (4), 2-6, 7-6 (7), and she'll face 18th seed Garbine Muguruza in the second round.